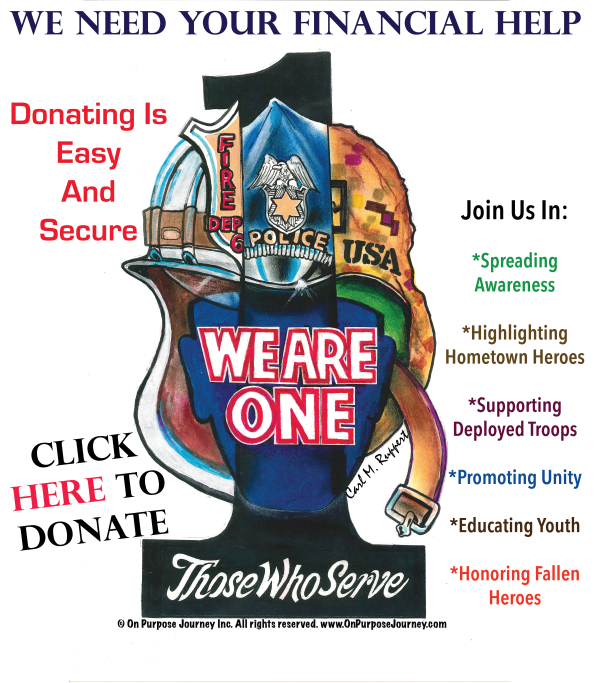 Mission Soldier Adoption July News! “It’s hot”…the kind of hot that’s so hot even calling it hot is an understatement. So we’re asking for your help…to help make their living conditions a bit better, their days a bit brighter, and their spirits a bit higher. If you know of companies, organizations, or individuals looking for ways to support our Troops overseas…please let us know so we can connect with them and share our mission. Our Helping Hearts this month: Connie K, Mike B, Starbucks on Capitol Drive in Wauwatosa, Lynn S, Mary Lou S, Lauren W, Jackie D, USO, 2011 Summer Exploration Camp Participants of UWMilwaukee, St. Paul’s Lutheran Church, and Site Staffing Inc.
Share Us: We appreciate your help in spreading the word about Mission Soldier Adoption to your family and friends so we can continue to let our heroes overseas know that though they are NOT HOME…they are NOT FORGOTTEN. $$: Financially, we are in great need of funds for sending care packages overseas. Each package costs $12.95 to ship overseas and most of the guys and gals on our list do not currently receive items from home. Shopping: Items desired: Lip Balm/Chapstick, Protein Bars/Power Bars, Drink Mix Packets, New Bandanas, Foot Powder, Jerky, Trail Mix, Dried Fruit, Candy/Licorice, Cough Drops, Gillette Razor Refills, Wipes, Body Wash, Body Spray, Deodorant, Shampoo/Conditioner, Toothpaste, Mouthwash, Floss, Eye Drops, Hand Sanitizer, DVD’s, Pens, Tuna Packets, Peanut Butter, Fruit Cups, Fudge Topping, Crackers, Cookies, Oatmeal Packets (instant), Sugar Packets, Creamer (powder), Flashlights, Books (gently used suspense/mystery/comedy/classics/business), Puzzle Books (crossword,etc), Batteries, Current Magazines (sports/cars/sailing/music/nature/hunting/fishing/business/health), and Letters/Pictures of Support (from adults and kids).